Veterinary assistants deal with providing medical and health care for animals. 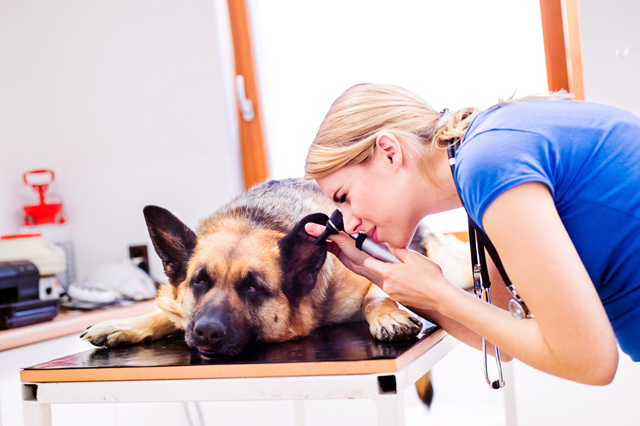 They assist veterinarians in performing different tasks involving examination and animal care procedures. Their responsibilities also include taking blood samples and administrating medication to animals. Cleanliness and safety of animals are the main concern of veterinary assistants. They need to bathe, clean and disinfect animal cages and the materials that come in close contact with the animals. They also sterilize surgical equipment and carry out routine caretaking tasks like feeding and weighing animals. In addition to administering medications, veterinary assistants are in charge of collecting blood, urine and tissue samples for diagnostics and performing those lab tests. They also monitor animals that are undergoing a surgery. Recording of all important tasks carried out as a part of animal care on a daily basis is also the duty of veterinary assistants. Veterinary assistants also help pet owners in different ways. They are the primary contact point for clients and therefore determine the nature of their experience. Veterinary assistants spread awareness about animal care and educate the pet owners about illnesses, medications and also address their doubts and concerns.Veterinary Assistant Diploma is a course with ample scope as pets are considered as members of the family in the contemporary world and more and more households are welcoming these animal friends into their family. As the number of pets grows, there is a growing concern about their well-being which emphasizes the significance of the discipline of animal care. And when animal care is in much demand so are veterinarians and veterinary assistants. Veterinary Assistant Diploma is a course that provides aspirants the opportunity to broaden their knowledge in the realm of animal care and work in veterinary clinics and animal hospitals and sometimes even in laboratories of research facilities. If you are a pet owner or an animal lover, Veterinary Assistant Diploma can be a very enlightening experience for you even if you are not someone who is dreaming of becoming a veterinary assistant.